USAA recently unveiled the financial service firm’s new banking and finance iPad app that was built specifically for Apple tablet. Initial reactions from USAA customers have been very positive. The USAA iPad app has been available for download since January 29th, and customers are responding very well to the new way to connect to your banking, insurance, and investing accounts according to company spokespeople. In fact, in just the three days since the USAA iPad app release, the app has been downloaded over 12,000 times, has received a five star rating from users on Apple’s App Store, and has risen to the number one most popular financial app in the App Store as well. USAA is a full-service financial services company that provides financial products such as bank accounts, investment accounts, mutual funds, insurance for all types of life, financial advice through their in-house financial planners, and a host of other benefits to its membership. USAA is open to members of the military, their family members, and veterans who have served in the military. You have heard me rave about USAA many times on Own The Dollar. I am a big fan of the company and use their financial products and insurance quite extensively. The USAA iPad app has categories for your entire financial life and most financial transactions that you would need to make, all in one place. The USAA iPad app has different sections like the USAA website and smart phone app where you can view all of your financial accounts. The bottom of the iPad screen has icons for you to see and interact with all of your banking accounts, investment accounts, and insurance policies. There are sections of the app that allow you also to transfer funds, pay bills, find USAA phone numbers and information, and even a full section of financial tips and money related articles prepared for you by USAA’s incredible team of certified financial planners. The staff at USAA have put a lot of time, effort, and research into making this app as user friendly as possible, and they have definitely succeeded. Not only is the app stunningly beautiful using the Apple iPad’s amazing screen, but the interface is unbelievably easy to use. USAA has cracked the code on mobile banking. For years, the company has offered their customers the ability to deposit checks into their accounts by taking a picture of it from their Apple iPhone through its [email protected]™ program which isn’t too shabby considering the bank just opened only its fourth branch office, or financial centers as they call them. In fact, 80% of all business conducted by USAA’s customers with the company through online channels instead of the traditional bank branch or using the telephone. USAA has been a leader in mobile banking with their smart phone apps that allow customers to not only deposit checks but check balances, transfer funds, pay bills, trade stocks, get help when they need it from the insurance division of the company, and a host of other features directly from a customer’s smart phone. 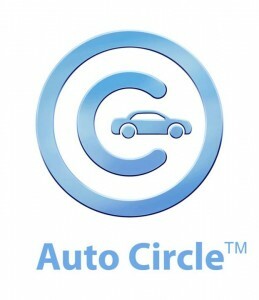 Recently, USAA introduced the Auto Circle feature as part of their smart phone app which allows customers to find a new or used car, receive a guaranteed price from a dealer to buy it, secure the car loan financing, and insure their car directly from their smart phone. 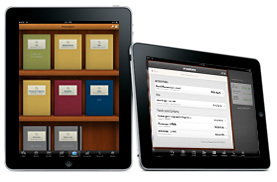 If you own an Apple iPad and are a USAA customer, then you will love the USAA iPad app. It was not just an iPad app that was copied from a successful iPhone or iPod Tocuh app that you see many companies doing. Instead, this is a brand new app specifically designed for conducting your financial business directly on your iPad. No matter if you want to bank, check your investments, update your insurance, or get help planning your financial future, you can do it all from the new USAA’s iPad app. It is incredibly user friendly with beautiful graphics, and it is the perfect way to keep tabs on your entire financial picture while on the go. The USAA iPad app is available now for download in the Apple App Store or you can find out more information about the app directly from USAA’s website.